Stop wasting hours re-keying producer notes into your management system. Use eForms Wizard and the Wizard Way and you can save valuable staff time and close more by getting to market faster! 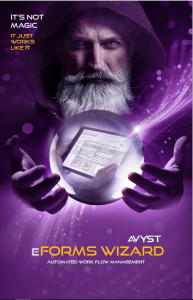 Welcome to eForms Wizard! As an IIANC member, eForms Wizard Bronze is included as a benefit of membership (i.e. its free to IIANC members). The eForms Wizard Gold subscription package is available to IIANC members at 50% off - $50 per user, per year. This is less than the annual cost of yellow pads and pens! To get started, complete the Subscription Form and indicate the number of users, their name(s) and email address(es). Empowers the sales process at point of sale. Saves time - When you enter information once, it flows to Agency, Company unique and all ACORD forms. Always Works - anywhere, anytime - no internet service needed! Reliable, on, and ready. Complete submissions - “Agency specific packages” of forms are grouped, giving your producers the opportunity for automatic cross-selling. Risk Management - Using the IRMI Glossary of TermstM integration empowers agents to have the knowledge to sell and answer client questions as applications are completed. Faster to market! - Send the completed applications and data quickly and easily to ALL of your markets. Streamline your success - Quickly update applications for new business and renewals anytime during the client’s lifecycle.